Phenacogrammus interruptus common name congo tetra. They can grow up to 7-8 cm / 3 inches. They are best kept in water parameters of Ph range of 6.0-7.5, and temperatures of 24-27 Celsius / 75-81 °F. 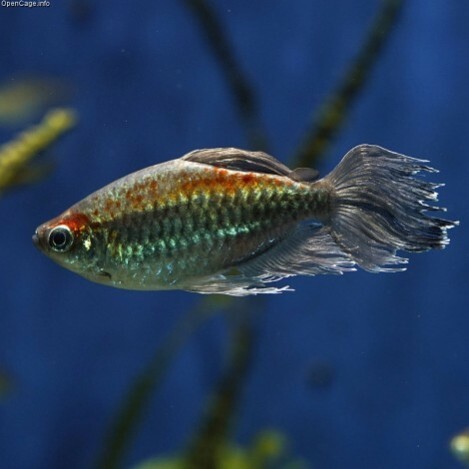 The congo tetra is considered by many to be a jewel of the tetras, because of its natural beauty. With flowing fins and a mixture of colours, orange, white and yellow. They are a lovely and peaceful addition to any aquarium. They prefer to swim in groups of 5-8. As they do get a little bigger its not wise to mix them with any small size fish. 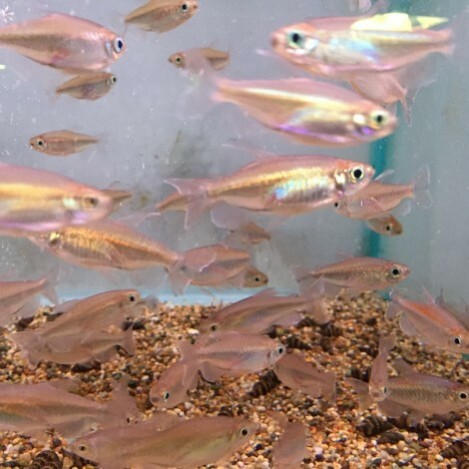 The congo tetra is a very greedy fish. They will eat any food you put in the tank. Flake, pellets, and granular food. With also a treat of freeze dried, frozen or live foods every once in a while. As they are such a greedy fish spread the food around your tank, so hopefully your other fish will get some food. They like flakes, pellets, and granular foods, also live and frozen foods for treats. They only need feeding once a day at the most.